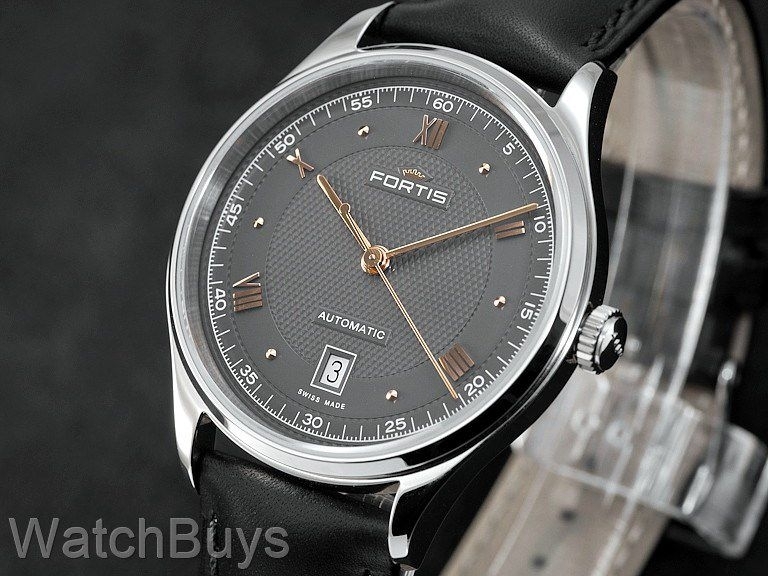 Offering sophistication without being pretentious, the Fortis Terrestis 19Fortis PM is classy and clean. 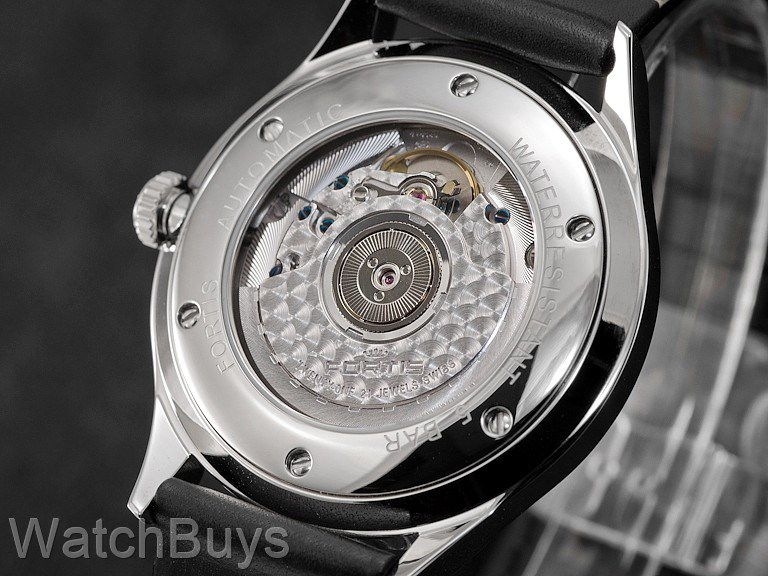 Of course the standout feature of this watch is the dial. Fortis chose anthracite, and used a pleated pattern with rose gold applied Roman numerals and indices to complete the look. The Fortis Terrestis 19Fortis PM takes its name from classic Fortis designs of the 1940's - a clever play on words. The PM in the name is used to reference the dark dial. The polished stainless steel case is a perfect 40 mm in size, and this watch is designed to easily slip under a long-sleeved shirt cuff with a height of 9.5 mm. The Fortis Terrestis 19Fortis PM features a transparent case back revealing a highly decorated movement with perlage on the rotor and plates. This watch features a Fortis black calf leather strap with matching stitching and steel tang buckle.